I am passionate about making things by hand. 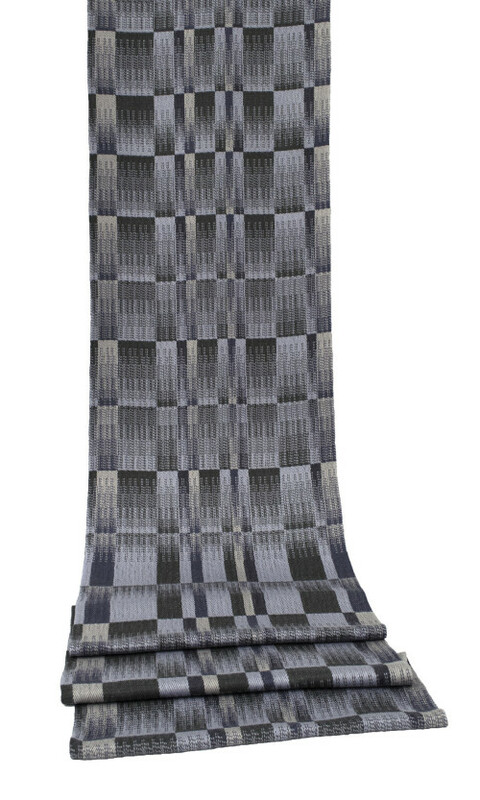 Handweaving is not a single process but a sequence of processes, and each step has its own pleasures and challenges. 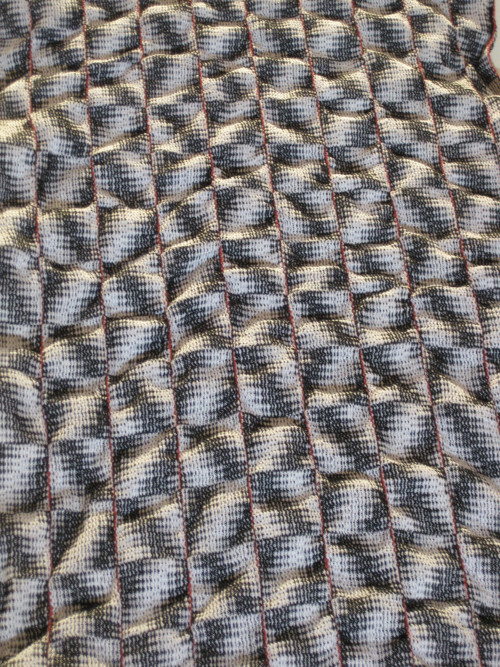 A woven textile can be meticulously planned or improvised at the loom, and a combination of these approaches appeals to the different parts of my nature. I find a deep satisfaction in handling every individual thread, discovering surprises in the interaction of warp and weft and, ultimately, realising my vision as woven cloth. Much of my inspiration comes from the cityscape of Dundee, from the grandeur of its waterfront setting to the small details of quirky buildings and everyday living. A recent development in my work has been to draw on my interest in social and environmental data, and data about Scotland in particular. These data describe patterns which underlie our daily experience but are often difficult to see. 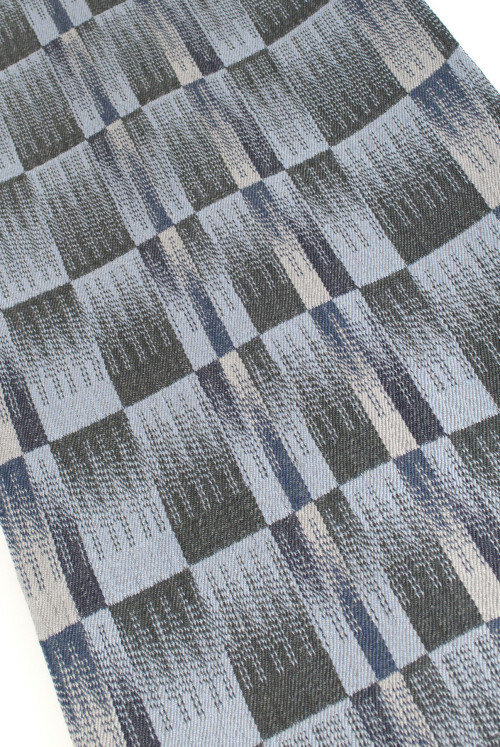 Incorporated into weave, the finished work offers an alternative geography that, like the statistical data it draws from, is abstracted beyond recognition.